Professor Kenji Tomiki (富木 謙治 Tomiki Kenji, 1900–1979) gave the name Shōdōkan (昭道館) to the dojo he founded in Osaka where he researched and promoted his unique method and style of teaching Aikido after resigning as technical director of the Aikikai. 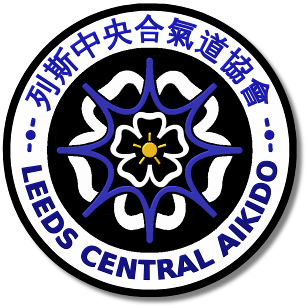 In deference to his wishes at the time not to have his name directly attached to his school, The term "Shodokan Aikido" was used in Japan to differentiate it from other schools of Aikido. Shodokan (昭道館) is translated as 'the place for identifying the way'. It is made up of three kanji characters. Sho (昭) meaning 'bright' or 'clear', do (道) meaning 'road' or 'way', and kan (館) meaning 'building' or 'hall'. The first character, sho, also comes from the name of the company that provided Tomiki Kenji with the space for his dojo and is the first kanji of the Showa period in which the dojo was established (1967). 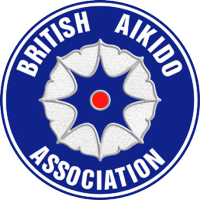 The logo used by the JAA (Japanese Aikido Association) is based on the symbol designed by Tomiki Kenji Shihan to represent the physiological and philosophical characteristics of Aikido as he saw them. 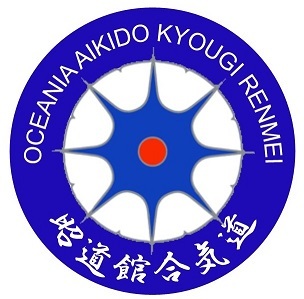 The symbol represents the functions of fire (red) and water (blue) combined with limitless space, represented by the white area. The following is a translation of his explanation of how he arrived at the design. tō (倒) is the power of water, represented by blue. 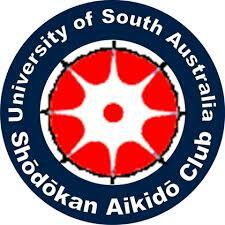 With the departure of Tetsuro Nariyama Shihan from the JAA (where he was technical director) and the subsequent formation of the SAF there is a bit of change in the use and association of the terms "Shōdōkan" and "Tomiki Aikido" as well as the use of the original symbol, nationally (in Japan) and Internationally (outside Japan). 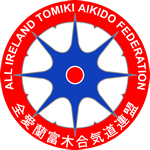 Founded by Tetsuro Nariyama Shihan after resigning from the JAA, the SAF exclusively uses the term "Shodokan (昭道館)" as their official style label for promoting the Aikido of Tomiki Shihan. It's relevant and noteworthy that when Tomiki Kenji Shihan resigned from the Aikikai and formed the JAA, he founded a dojo in Osaka which he named as "Shōdōkan" (the place for identifying the way). 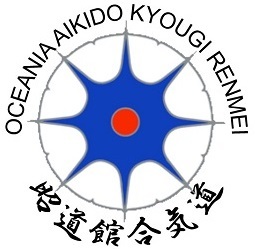 Tetsuro Nariyama Shihan has had a great influence on the development of the Aikido of Kenji Tomiki during his long tenure within the JAA, and continues his work as Chief Instructor of the Shodokan Dojo in Osaka and as President of the SAF whose distinctive logo/kamon notably has an International focus (Use of English Language). Just as the original JAA symbol was and is still incorporated within international organisations and western club logos, so too we are beginning to see the SAF symbol being adopted in the same manner.